I with the Apple TV Netflix app supported downloads. I sometimes go on trips and bring my Apple TV along to plug into hotel room TVs and watch stuff, but hotel WiFi tends to be dodgy at times. I'd love to be able to tell my Apple TV netflix to download a few episodes of something to them watch on the go. Why does Apple offer different storage sizes on the Apple TV if apps won't make use of that storage? And yes, I know you can airplay from a phone but that's not super-reliable on hotel WiFi either. 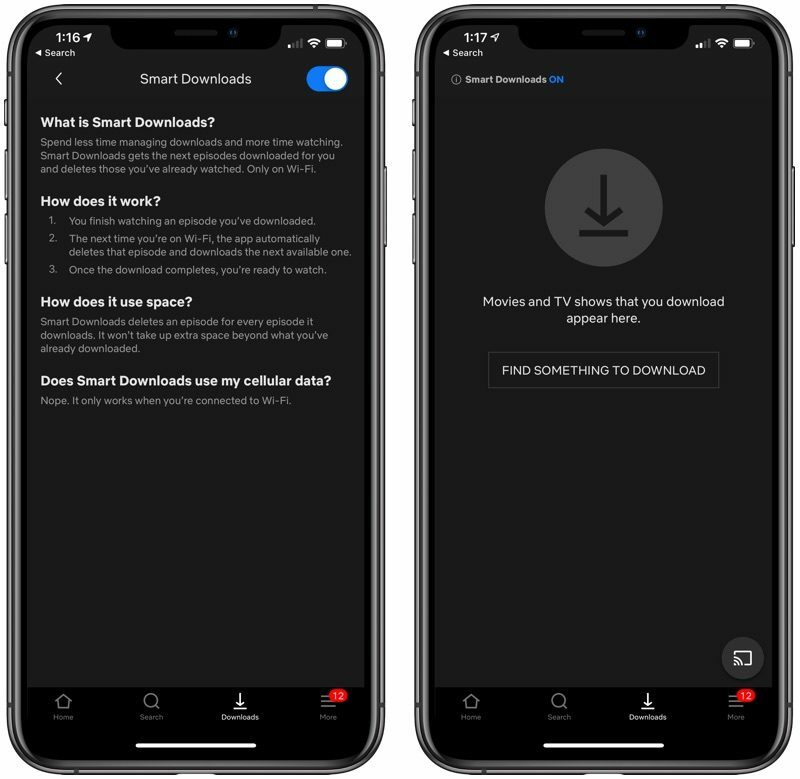 Netflix downloads would not AirPlay to Apple TV. Not sure if that has been fixed. The limitation is still there unfortunately.